Keywords:mechanical seal, dry gas seal, dry seal, gas seal, mechanical seals for pumps, cartridge seal, pump seals, mechanical shaft seals, dry gas seal centrifugal compressor, dry gas seal compressor, mechanical seals centrifugal pumps. Product Description:DGS-J02 belongs non-contacting, vaporizing liquid seal. DGS-J02 non-contacting technology eliminates the dry running wear, vapor locking in the seal chamber and face popping. DGS-J02 can specially used in the pump, where the fluid media in at or near its point of vaporization. 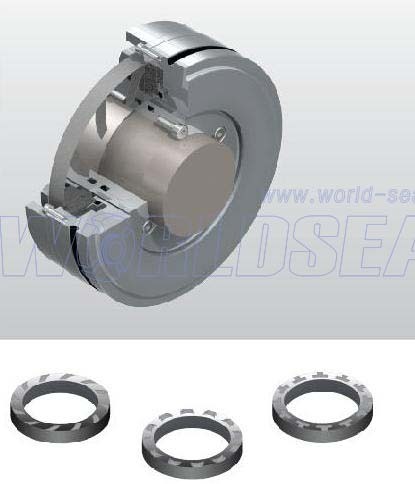 If you have any enquiry about quotation or cooperation, please feel free to email us at info@world-seal.com or use the following enquiry form. Our sales representative will contact you within 24 hours. Thank you for your interest in our products.